Excellent service this was the second year of using taxipmi and would recommend them. very friendly and helpful will be using again. 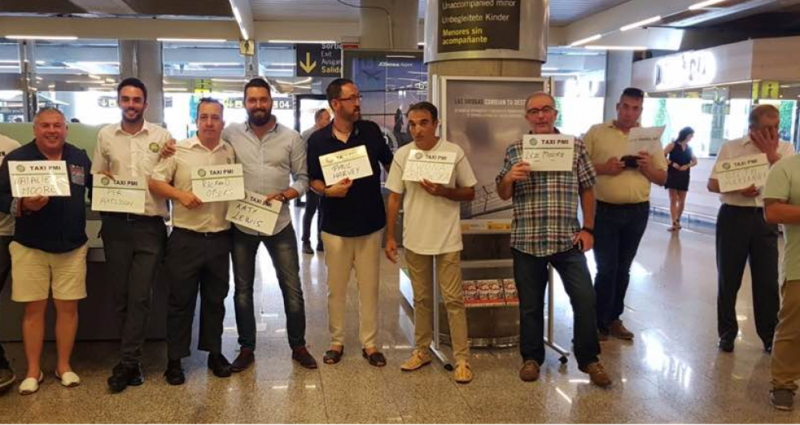 We used Taxi PMI on our recent visit to Palma. Despite our flight being delayed the driver was waiting and was very helpful in helping with my wifes wheelchair. Had to rearrange our return journey at short notice due to Easyjet delays, but PMI were very friendly and helpful. Would definitely use them again. Wir hatten einen Transfer vom Flughafen zum Hafen gebucht, hauptsächlich weil wir einen Kindersitz und relativ viel Platz für Gepäck benötigten. Alles lief genau wie bestellt und wie es sein sollte. Wir würden für ähnliche Transfers jederzeit buchen! This is the second year we have used TaxiPMI and again they have provided excellent service and excellent value, accomodating flight delays with ease. We will be using them again next year. I booked online prior to my holiday in August 18. The booking was very straight forward and I received a confirmation email straight away. The email gave me detailed instructions of what I needed to do on arrival at Palma airport, once I had collected my luggage (Print out and take with you). I was greeted by a lovely gentleman who helped with the suitcases to the car. Journey took about 55 minutes to Cala Bona…. I was so pleased with the service that I booked again for my return journey to Cala Bona in October. This time I had a two hour delay from Cardiff and was pleased to read in my confirmation that I didn’t need to do anything (Which was lucky because we were on the runway for the two hours not knowing when we were going to leave) that they would check arrival times their end. This time I booked a return journey and a female driver was waiting for us with a plaque with our name on at Palma Airport even though we were two hours late. She told us that we needed to confirm by either email or phone our return journey detail (just in case of any changes) however PMI emailed me 3 days before to confirm which I replied to. Taxi was waiting outside at the correct time to return us to the airport… will be booking again next year without a doubt. Highly recommended! I usually like to take public transit when available but we had a late flight so we chose a taxi. I booked a few weeks ahead of time but you can also book it closer to your travel date. Our flight was over two hours late and Taxi PMI was there waiting for us when we arrived. The driver was helpful and courteous. We will use them again! Ich kann nur das Beste von Taxi PMI berichten. Die Fahrer waren bei den gebuchten Abholungen immer sehr pünktlich und überaus freundlich. Wir werden Taxi PMI auch 2019 wieder buchen.